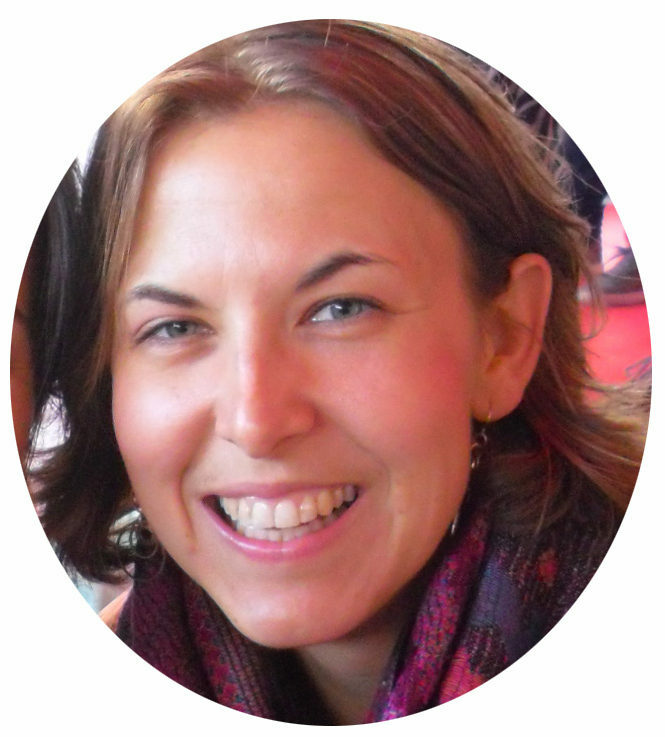 My former college roommate is about the most motivated, driven, action-taking person I know. He sets a goal, puts his mind to it, and gets it done with an indestructible good attitude. He became a “birder” last year. He moved to Phoenix, Arizona last month. He came to visit me aSubscribers to this site know my grandmother suffered a stroke recently while I was in Honduras, and I came rushing back to the U.S., where I’ve spent a few months driving my grandmother to medical appointments and helping my mom juggle some of the responsibilities in her over-full life. last week. 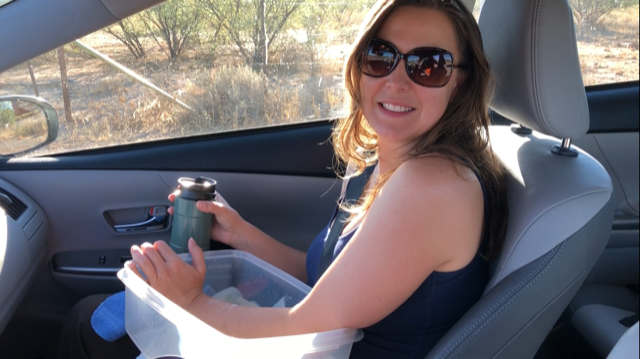 After showing him around Tucson, we prepared for a day touring the locally-famous Kartchner Caverns and birding on the surrounding trails. 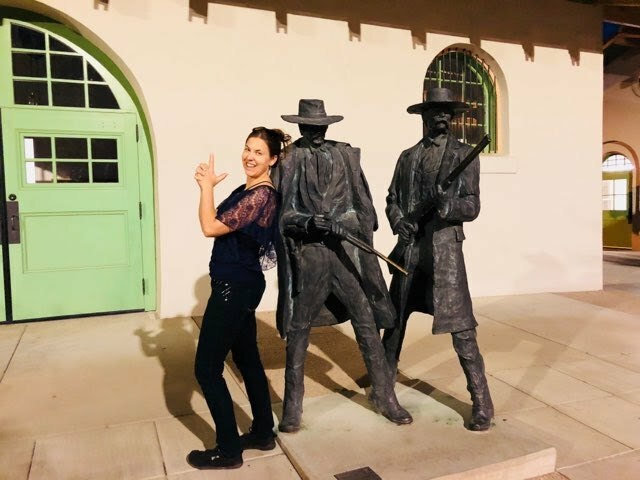 Playing by the statues at the downtown Tucson Amtrak station where lots of historic moments occurred. Kartchner is named for the owners of the land where two spelunkers trespassed to discover the cave. Shockingly, they managed to keep the cave secret for years as legislation to forever-protect the cave slowly clawed its way through bureaucratic molasses. Coming fairly late to the cave game, Kartchner had the benefit of learning from others’ mistakes. The walkways are concrete chutes that capture as much lint, hair, and other introduced items as possible off humans wandering in and out. The chutes get washed down every night to restore the defiled cave to a more original condition. Tourists must pass through several air locks as they enter and exit, protecting the cave from too much unnatural exchange of air. Visitors and guides are also misted down before entering the caverns to combat the natural humidity loss that would otherwise occur in the presence of all those human bodies. To prevent algae growth, which is said to begin after just 10 to 15 minutes of light exposure, the lights are turned on and off section by section as tour groups progress through the cave. Monitoring devices are placed throughout the cave, recording changes and tweaking management strategies to ensure as little impact as possible. Both the tour guide and the tour sweep bat the back of the group carry flagging tape to mark any spots that get accidentally touched. Apparently, if the bacteria from human skin is washed off right away, the impact is mitigated. If not, giant black patches of death slowly creep over the cave formations, snuffing them out. We saw examples of this on the ceiling where bats roosted in the distant past. I’ve seen the same on the walls of a “sacrifice cave” (self-guided and open to the often-disrespectful public) where I cut my spelunking teeth as a (idiotic) Wyoming teenager. One section of Kartchner is closed for half the year – the half when bats return to roost and raise their young. 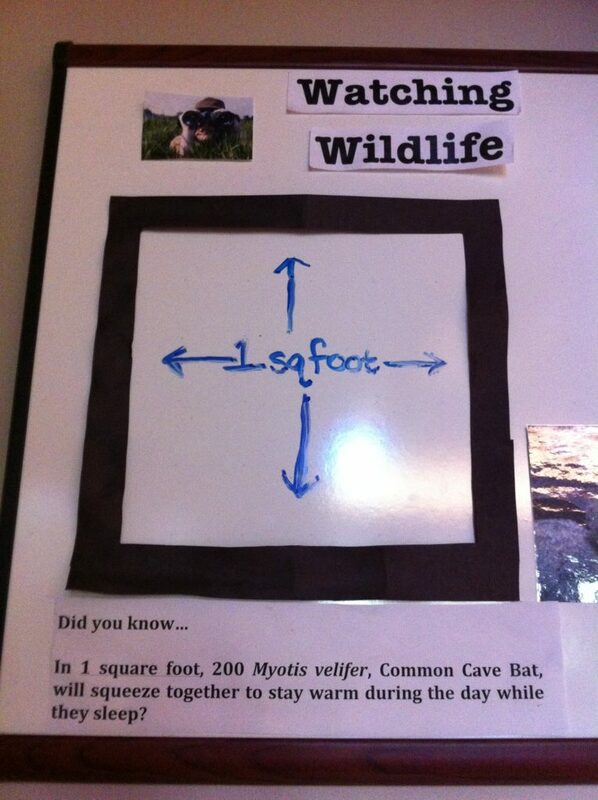 A little visual depiction in the visitor’s center reveals that when roosting, 200 bats will squeeze into the space of just one square foot. Crazy! Having a square in which to visually imagine 200 bats really drove home the intensity of the numbers. 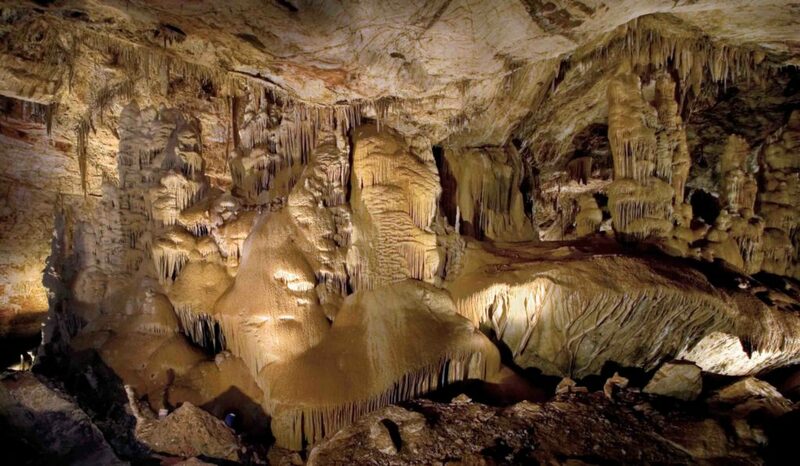 Equally crazy… stalactites, those formations that dangle from the ceiling grow incredibly slowly… an average of a half-inchc12mm every 100 years. That means a formation as small as your hand has probably been kicking it for 1,600 years. It’s a guess that the star of the Kartchner show – a column called Kubla Khan – is probably around 69,000 years old. Its age is gobsmacking, but so is its very existence. Because calcite (the dominant mineral making up cave formations) weighs more than concrete, often formations get ripped right off the ceiling before they ever have a chance to connect with their mirror below. While we couldn’t use binoculars to get up close to anything in the cave (another protection – nothing allowed in… no purses, no jackets, no bags, no cameras… you get the idea), they greatly enhanced our adventures on the Kartchner trails. Having never “birded” before, I found my first glance through my friend’s super-fancy binoculars particularly rewarding. For the dedicated, pricey binoculars are worth the experience of feeling up-close-and-personal with elusive creatures. Fancy pants binoculars = you can see practically see a fly on a flea’s behind! 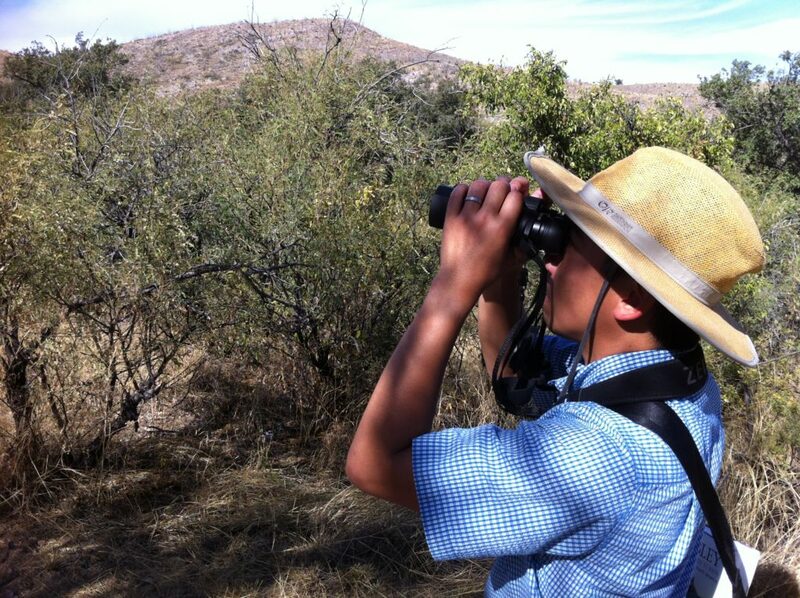 I also mused, as we answered bird-identifying questions in an awesome birding app, how birders (or any kind of dedicated nature observers) become attuned to interwoven systems and patterns. What season is it? (birds’ plumage and behavior changes) Where was the bird? (some take advantage of the ground, others the canopy)? What body size did it have? How was it moving? I want to believe that birding can make people into more compassionate citizens as they come to recognize the greater whole of which everything and everyone is a part. However, I have at least one example of a super-entitled, raging misanthropist who is also a passionate birder. So much for that. Our final adventure took place in a canyon normally closed to the public for conservation reasons. It also happens to be just a few miles from the U.S.-Mexico border. The moment I got my geographical wits about me, I got nervous. “We’re going to the scary border?” I thought. “You mean the place where ruthless Coyote traffickers take everything immigrants have and then dump them into desperate situations in the middle of a sweltering, spiky wasteland?” Gulp. I imagined coming back to smashed windows in my friend’s low-clearance vehicle. I imagined wilderness confrontations with desperate people demanding our supplies for their survival. I imagined a lawless, foreboding stretch of super-heated scrub. In hindsight, my fears were vehemently disproved. In the stretch of 50 miles, we passed about 30 border patrol cars and saw at least ten agents prowling the desert searching for traces of illegal foot traffic. Our canyon guide pointed out the stack of tires used to drag the canyon entrance roads so footprints on them can be more easily seen. He also pointed out an SOS tower that provides immediate assistance to anyone in a perilous situation, regardless of legal status. 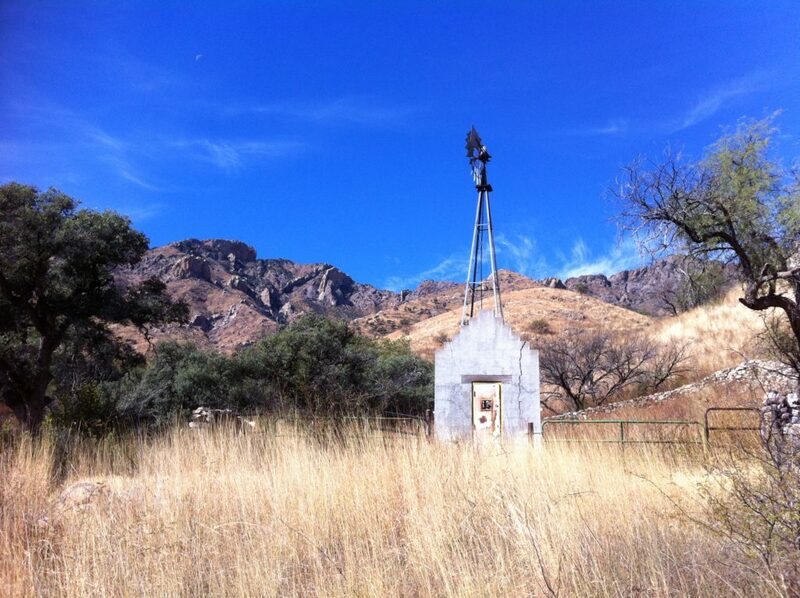 One of my favorite vistas in the canyon… that was decidedly void of dangerous, ruthless criminals. Acknowledging my unfounded fears made me wonder why humans are so easily scared of those who have less power than them. Our guide pointed out anyone we might worry about encountering would actually be fearing us and trying very hard not to be seen. When – e.g. people with homes fear the homeless, is it because being faced with another’s hardship causes psycho-biological empathy that is stressful? Is it because we know how we behave when desperate, and we fear desperation in others? Is it because it pressures us to acknowledge that the goodness of our lives is only by chance, perhaps undeserved, and potentially very fragile? Is it the juxtaposition of our entitlement (we believe we are “supposed” to have and “deserve” certain things) with reality (many people do not have these things and maybe no one “deserves” them?)? I never arrived at answers to these questions, but Brown Canyon certainly encouraged a hard look at my own ideas and pre-conceptions. Brown Canyon made me less scared of the “scary” border. The morning of our Brown Canyon hike, I rode the 90 minutes to the trailhead with my arm sitting in a tub of water laced with Epsom salts and baking soda. My arm forearm throbbed in pain, thanks to a bee sting 36 hours previous. Earlier that morning I had watched my companion prepare his cold-battling regimen. No silly stuffy nor drippy nose was going to keep him from the weekend he wanted to have. Baking soda soak on a warm desert morning in November. The common thread of these two situations clicked into place for me as I laughed to think how we’d look pulling up to the group meeting. Would the hike leader refuse to take a slightly-addled attendee even further from medical care, given an already questionable situation? “This,” I thought, “is why I’m friends with this man.” While lots about our lives and personalities are very different, we both have a “Yeah, so?” attitude about barriers. Many people who’d been battling a cold for ten days would cancel their trip when they didn’t feel better. My friend loaded up on meds, brought hankies to catch any drips the drugs didn’t dry up, and doubled down on his tenacity to tackle the weekend and have great experiences. Many people with an aching arm that continued to swell more than 36 hours after an insect encounter would maybe not choose to apply a baking soda compress under a bandage and then simply ignore the throbbing while increasing the distance between themselves and medical care. Of course, those who would never do such things might call those who would “idiots.” As for my part, they are probably right. I have always been an idiot. a. ↑ Subscribers to this site know my grandmother suffered a stroke recently while I was in Honduras, and I came rushing back to the U.S., where I’ve spent a few months driving my grandmother to medical appointments and helping my mom juggle some of the responsibilities in her over-full life.